Automotive charity BEN has been boosted by a donation of £3,500 which has been raised by people selling their old cars for scrap. traders and garages for scrap during the month of January, raising a total of £3,507 for BEN. The funds will go towards providing practical, emotional and financial support for those who work, or have worked, in the automotive and related industries, as well as their dependants. The charity initiative has helped consumers and traders to quickly dispose of their old cars, which may have failed an MOT, or become too costly to repair, in a safe, environmentally friendly manner, while raising money for a good cause at the same time. BEN has been providing vital support for those connected to the automotive industry for over 100 years both through its community welfare services and its network of care centres in Berkshire, Merseyside, Northumberland and Warwickshire. "We are delighted with the money raised by Remove My Car, which will really help us to continue to make a difference to so many people working in the automotive industry. 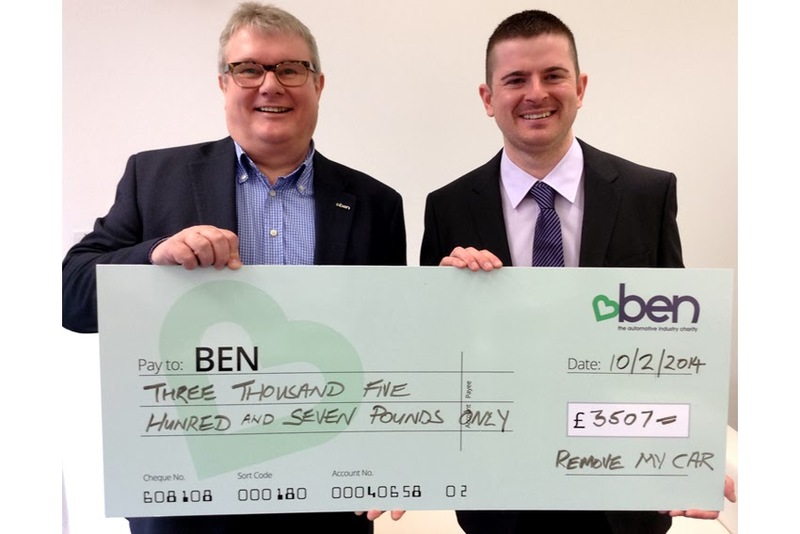 We rely on donations and the generosity of others so this fundraising initiative will really help us to provide support to those in the industry who need it," said Nigel Williams, Commercial Development Manager at BEN. Remove My Car will continue to raise funds for BEN through its unique Give A Scrap initiative which starts on March 1. The campaign will encourage consumers and traders to donate an end-of-life vehicle to BEN.